KARAMOJA– When it comes to tourism destination, Pian Upe Game Reserve stands out, take time off to this tourist resource and you will discover a lifetime of memories that will welcome you by smiles. With Uganda’s affluence of attractions, a single visit at Pian Upe Game reserve is not enough for one to ascertain the disclosures this reserve offers, this natural resource is a conservation area under Mt Elgon national conservation area located in Nakapiripirit district in Karamoja, north-eastern Uganda. Pien Upe is regarded as the second largest conservation protected area in Uganda after Murchison Falls reserve. The Southern part of the reserve was gazette as Dabasien Animal Sanctuary in 1958, a government-led project to convert land just south of River Girik meant for agriculture that was threatening the viability of wildlife conservation in the whole area. In 1964 the area expanded northward and was renamed Pian Upe game reserve. 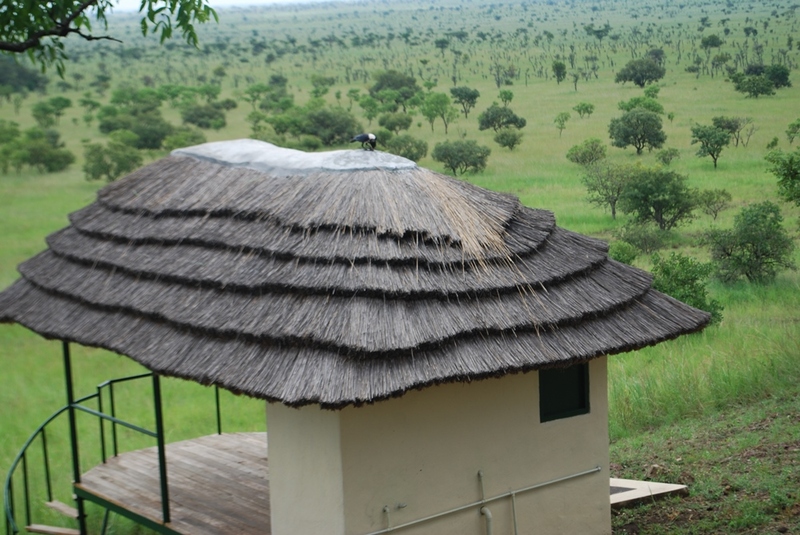 The reserve is covered by undisturbed grassland and wooded grassland and is a home of two pastoralist tribes from which the name suggest: the Pian being part of a subgroup of the Karamoja, and the Upe being a Kalenjin speaking people more widely known as the Pakot within Kenya and Uganda. However, those tourists who have made the journey north through the wild frontier region of Karamoja to visit it, would agree that it is among the most magnificent in Africa’s finest wilderness. From Amudat, in the heart of game reserve, a savannah landscape extends in all directions, far beyond the gazetted area of 2788 square kilometres towards horizons outlined by distant ranges and Kadama hills. The hills that appear like a sheet spread across the rocks overlooks expansive grassy plains dotted with big rocky outcrops and flanked by steep jagged mountains with the summit ridges of Kadama Mountains. The predominant cover of mixed acacia commipphara savanna is essentially Uganda’s extension of an Eastern savanna encompassing much of northern Kenya and amboseli-Tsava mkomazi complex of reserves on the border between Kenya and Tanzania. Providing dramatic contrast to the dry scrubby plains of Pian Upe is Mount Kadam as isolated range of spectacularly tortured turrets and bleak volcanic plugs that rises to an altitude of 3068 m on the reserve’s Eastern boundary. With the headquarters at Murujore situated right along the direct Mbale-Moroto road roughly 90Km from Mbale and 11Km north of the reserve’s northern boundary. For the 30Km [as far as the junction to Sipi] this road is surfaced with murram, it is reasonably maintained but destroyed by heavy rains and water that flows from the mountains. You will know you have entered the reserve shortly after passing through the trading centre of Chepsukunya after a two hours drive. The road crosses a bridge over the forest-fringed Kerim River, a few vehicles, Boda Boda cyclists run daily between Mbale and Moroto, passing within a few meters of the park headquarters. The predominant cover of mixed acacia commipphara savanna is essentially Uganda’s extension of an eastern savanna encompassing much of northern Kenya and the amboseli-tsavo-mkomazi complex of reserves on the border between Kenya and Tanzania. Providing dramatic contrast to the dry scrubby plains of Pian Upe is Mt Kadam, an isolated range of spectacularly tortured turrets and bleak volcanic plugs that rises to an altitude of 3068m on the reserve’s eastern boundary. Pian Upe’s expansive visitors, largely uninhibited by woodland and forest, are a result of the open tree savannah habitat that dominates the game reserve. Kadam Mountain has been colonised by the dry mountain forest while some watercourses support dry shrubs that are a common sight here. Pian Upe harbours a great number of Mammals, in addition, the population of the Leopard, Cheeter and spotted Hyena are quite popular by ranger patrols and small proportion of lions. According to the country director Karimojong Overland Safaris country director, a German Tourist organization that is managing the game reserve Dr David Muduuli among the ungulate species are the bur hell’s Zebra, Buffalo, Eland, Harte beast, greater Kudu, Topi, Orib, Dik-dik and Uganda’s last population of roam antelope. “There are also Vervet monkeys, Olive baboons, the far localized Pata monkey, these are also becoming very popular at this resource. Besides black-backed and side-striped jackal, these are not in any other park,” said Dr Muduuli. Just as we were about to disembark on our guided tour of the game reserve, a Cheeter strolls in at a water source to drink some water. Everyone is excited and wants to get a close glimpse of the cheetah. Mr Peter Mpwebwe, a warden in charge of tourism at Mt Elgon reserve, who took us on a tour, the reserve contains one of the most exciting fauna of any Ugandan Game reserve with 44 species of mammal, several of which are (in Uganda) restricted to Pian Upe and Karamoja sub-region. Mr Mpwebwe says hundreds of tourists who have visited this game reserve describe it as an irresistible holiday paradise due to its annual spectacular wildebeest migration. He explained that a few wildlife parks in Uganda and East Africa allow tourists to drift lazily along a calm stretch of the vast grassland but at this remote and spectacular wildlife refuge in Karamoja, one a tourist can stretch his eyes across the vast savanna grassland with ease. Just recently, I took a wonderful n Upe and on one of our first afternoons, we glided along the grassland with a tourist guide; there was something serene — and a little sneaky — about seeing animal across the grassland. As we moved through the grassland, about 4Km from the main camp, in a distance close enough to observe, but hopefully not disturb, we watched baboons, zebras, giraffes, Ostriches and gazelles heading for a drink. The Palms, short trees and shrubs in the grassland cast long pillar-like shadows and stood in quietness. Behind them stood a wall of thick green bushes and thorn trees. A rich silence hung in the air, broken only by the occasional chitters of birds that flew across the grassland. Mr Swalley Naminya, the executive director at Casa Uganda Safaris, a tourist travel company and local tourist says although these days, opportunities for adventure and conquest are rare, Pien Upe is the place to go for exploration. “I wish I could bring all the people I love to Pien Upe. It’s a magnificent reserve, swallowing you up in endless expanses of short grassy savanna and shrubs and emerald green swamps and tawny savannas,” said Mr Naminya. Mr Kizza says the Pain Upe game reserve also boasts an extensive bird list of 242 species confirmed and 11unconfirmed, second only in Uganda to Queen Elizabeth National park. “The Pian Upe is the only Game reserve that has the Rone antelope, besides this we also have Mountain Red buck, the Errand, the Cheetah, Bushbucks, Waterbucks, Ostrich and at lake Opeta towards Katakwi district we have a rare Shoebill bird, clip Springer and many other birds that are now coming back because of the rehabilitation we are doing,” said Mr Kizza. According to Dr Muduuli resident, foreigners pay $ 5 while non-residents pay $ 10 while Ugandans and East Africans pay only Shs2500. He said for guided tours per walk, non-resident foreigners pay $ 30 and foreign resident guided tours for foreigners pay $ 15 while Ugandans and East Africans pay Shs 10,000 for guided tours and vehicle hire is at $ 30 dollars for hire.